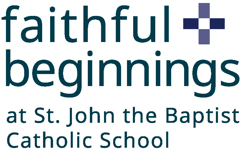 St. John the Baptist Catholic School uses NWEA Map Growth Tests. 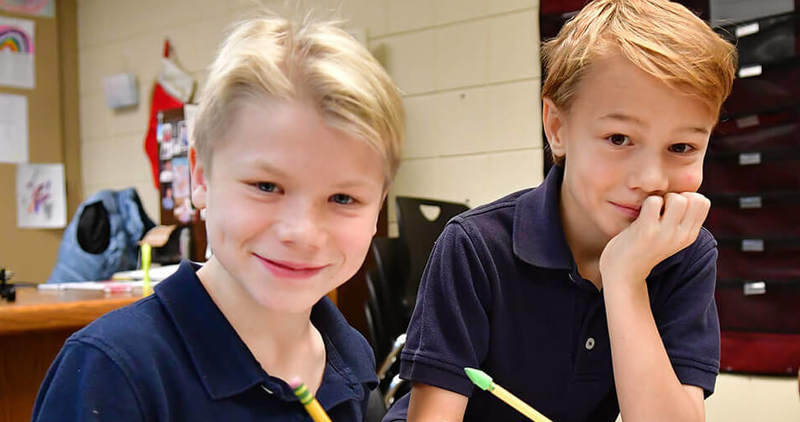 Students in grades 2-6 are tested every fall and spring to help determine instructional level and measure academic growth throughout the school year, and from year to year in the areas of reading, math, and language usage. MAP tests are unique in that they are adaptive tests each child takes on a computer. Each time students answer a question correctly the test becomes more challenging. When students incorrectly answer a question, the test becomes easier. Therefore, every child takes a test specifically created for his or her learning level. MAP results are reported in RIT scores. The RIT score is measured on an equal-interval scale, like feet and inches, that is independent of grade level. As a result, we can easily measure growth in learning. RIT scores increases the value of the tests as a tool to improve student learning because it enables teachers to recognize where to focus attention each child’s learning plan. MAP testing is a powerful tool for monitoring student growth over time. To learn more, please click on the link below to download the Parent Toolkit below.